Providing the highest quality eye care services and products to all patients. Staying at the forefront of eye care by utilizing the latest technology, instrumentation, and ophthalmic lenses. Treating every patient as though they are part of our family. Inspiring confidence through patient education and an unparalleled experience in a friendly and personal environment. Enhancing and updating our skills and proficiency through continuing education and training. Establishing a lasting and personal relationship with you, your family, and the local community. 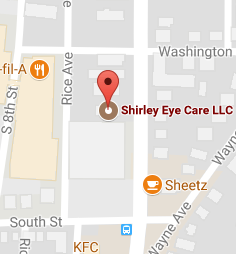 At Shirley Eye Care, we take privacy laws very seriously. It is our duty to understand the law and abide by it by protecting you as our valued patient. If you have any questions about the privacy of your medical records, please click the below link to read more about the federal regulation.